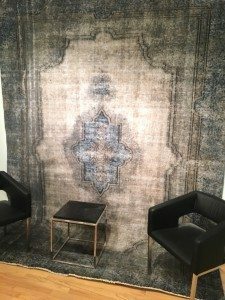 Vintage rugs have become extremely popular, but it’s important that you understand the difference between used rugs and true vintage rugs so you know what you’re purchasing. John: Sam, today we’re talking about vintage rugs. 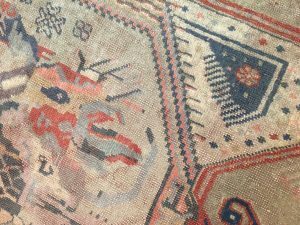 What makes a rug vintage? Or are there certain criteria that have to be met for it to be called that? Sam: No. You would think so and you would think there be this one explanation for what a vintage rug is and it can be such a broad description for a rug. Most of the time, I would describe it as something that’s got some age to it, it’s not antique but it’s not new. So it’s somewhere in what I call that in between lot. People call it mid-century, 1950’s, ’60s, ’70s – that can be vintage as well. There’s all kinds of ways of looking at what vintage is and then there’s a lot of things that are made brand spanking new that they call vintage because it looks like it’s got some age to it. John: It’s a vintage style rug. Sam: Yes. It’s a style, exactly. That’s a good way to put it. It definitely is a style more than it is an exact thing. John: What’s the difference between vintage rugs and just used rugs? Can a rug shopper make sure that they’re actually getting a vintage piece, if that’s really what they’re looking for? 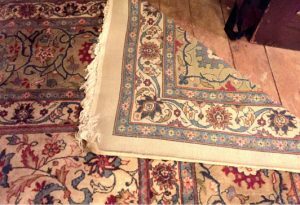 Sam: I think you can, if you’re looking at rugs and you’ve got somebody who understands what to look for in a vintage rug, you’ll notice some of the things when you’re [looking at a] rug that was actually used, you’ll see those things that have happened over the years of wear and tear. That is part of the characteristics or part of the beauty of that rug, there are some wear and tear, there are some worn spots, there are some damaged areas, there are some missing parts to it if you look hard enough. 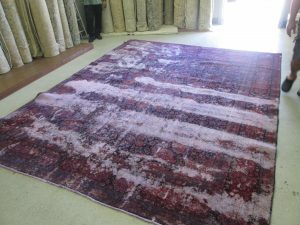 There’s all kinds of things that can be done in a used rug and it becomes a vintage rug and one of the big thing today is that they’re also taking rugs that basically are not sellable and they’re old, they may be 20 years old and they haven’t been able to be sold. They”ll take those rugs and they’ll shear them to the back, we call zero pile. They’ll overdye them in some cases, sometimes leave them alone, [or] sometimes they’ll strip them and basically change the color through a chemical process to make it look like a different coloration or monochromatic or more neutral in its look and then call that vintage. It’s more of a style sense, like you say, that has a nice worn, lived in type of a look. 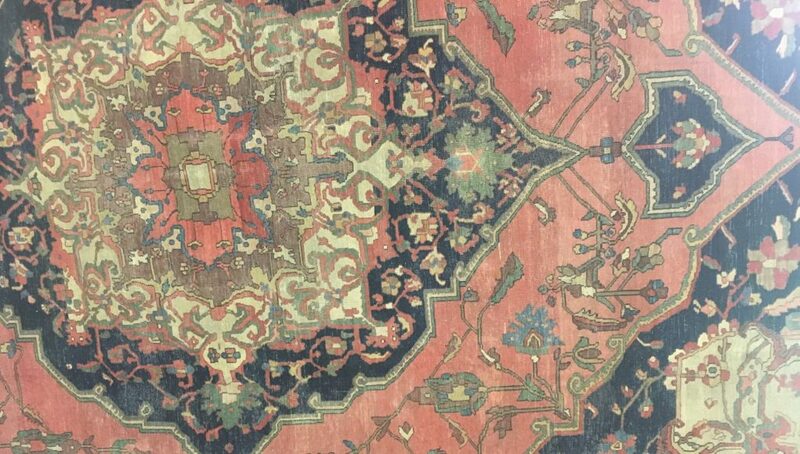 John: Are there certain types of patterns and colors that you typically see in vintage rugs? 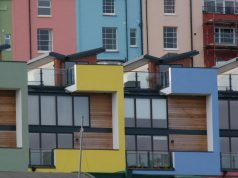 Sam: I would say today the big coloration is the gray tones, the neutral tones. That seems to be the most popular and [most] successful thing. The patterns seem to be a little bit more geometric, a little bolder in most vintage rugs. 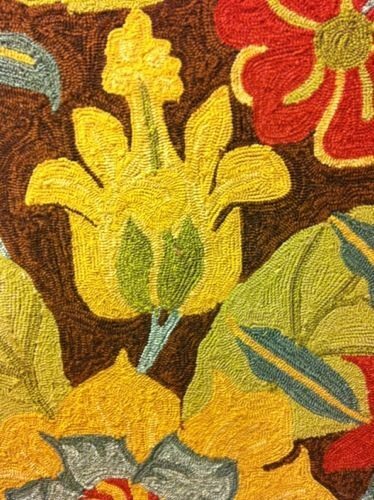 But you will see also it will take more traditional designs, floral designs in time to get that and make it look like a vintage rug. 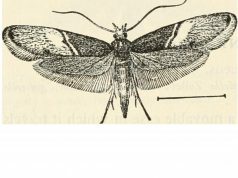 You’ll not be able to see much of the pattern of what it originally was. It really does come off very, very cool. 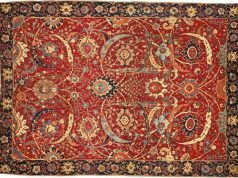 I personally like vintage rugs, but there are things that come with doing vintages, little flaws and nicks and little damages and things like that and repairs that you have to do once you get it woven. [There’s also a] finish to it that you have to do to correct what the vintage did to it and I think that’s the part where some people don’t quite understand what vintage is. We sell a lot of new production that we make vintage looking and those are some of the characteristic things that we have within it, and they’re not perfect, they’ve got interesting flaws. John: Those flaws really give a rug some of its character and I think that when you’re looking at a rug, if it’s just perfect and there’s nothing wrong with it, without even maybe knowing it, you just assume that that’s a new rug and it just doesn’t have that same kind of feel. It’s like something that’s just been lived in that has a little bit of history. Those little flaws and those nicks and those missing pieces and things like that that you’re talking about, I think they just give that rug some character and just say, “Hey, I’ve been around for a while and I’ve seen some things.” That just changes the way you feel about the rug, I think. Sam: Bravo, great description. I couldn’t have said it better. I think you’re absolutely right. 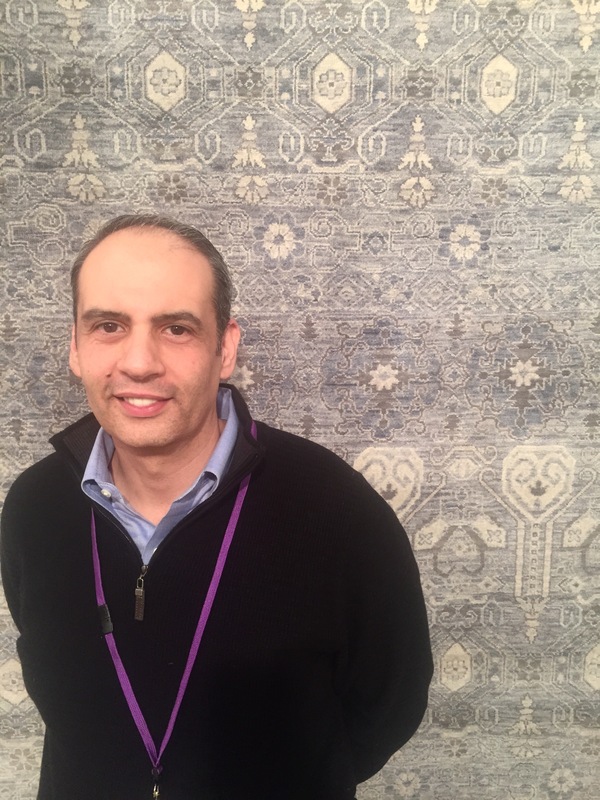 John: How can those types of vintage rugs be displayed in the home? Are they mostly used as floor coverings? Sam: I would say yes. The majority of the time it definitely is floor covering. But you also see them made into other things, [like being] upholstered into different types of ottomans or chairs and you’ll see them as pillows as well. You’ll see them as wall hangings, you’ll see them draped over a table. So, we too see it in another way, it depends on you and your style and what kind of finished look you want to have in the home. 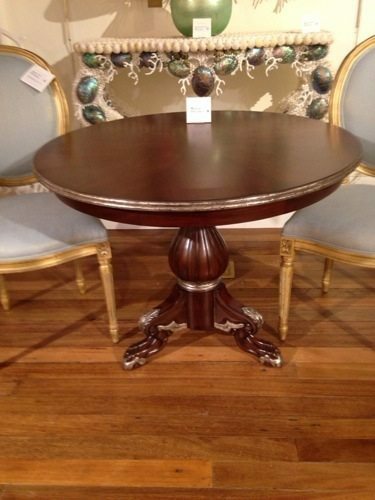 But we tend to see them in lots of different, unique ways that are very artsy and decorative that really [give] a cool look to a room or to a piece of furniture as well. John: Right. All right. Well, that’s really great information, Sam, thanks for talking to me about vintage rugs. Sam: All right John, always my pleasure. Thank you. John: And for more information about Sam, The Rug Gallery and Oriental Rugs and Carpets, visit ruggallerycincy.com or call 513-793-9505. Make sure you catch the latest episodes of this podcast by subscribing on iTunes and if you can take the time to give us a review as well, we’d appreciate that. I’m John Maher, see you next time on The Rug Gallery. New Kaleen Habitat Collection Rug at HFMW. This rug is hand made of 100% polypropylene on China and is UV treated against fading.